Greek appetizers are simple to make and use popular Greek flavors and herbs. 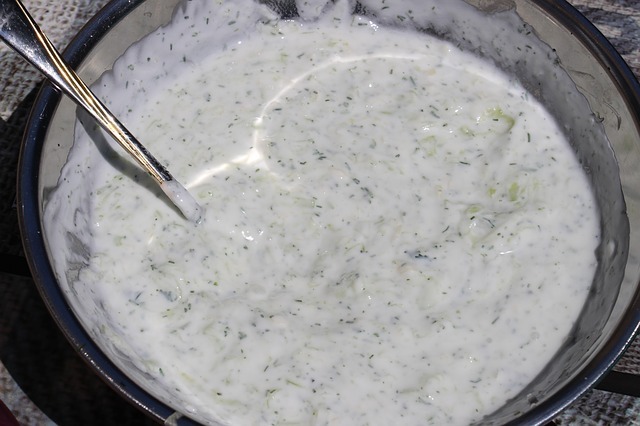 A Tzatziki recipe is one of the most well known and popular Greek appetizers or sides in Greece. It can be eaten with vegetables, meats, or used as a dip for your favorite chips. Greek spices are used to add a depth of flavor to these Greek appetizers. And herbs such as parsley are used extensively in Greek foods. Try some marinated onions, as these edible bulbs were considered libido-boosters by Ancient Greeks. And these marinated onions are a delicious way to add powerful Ancient bulbs into your diet. Or make the famous Greek appetizer called Dolmathes. Also, you can use the "standard" cucumber, if you can't find an English one (the long cucumbers that usually come wrapped). 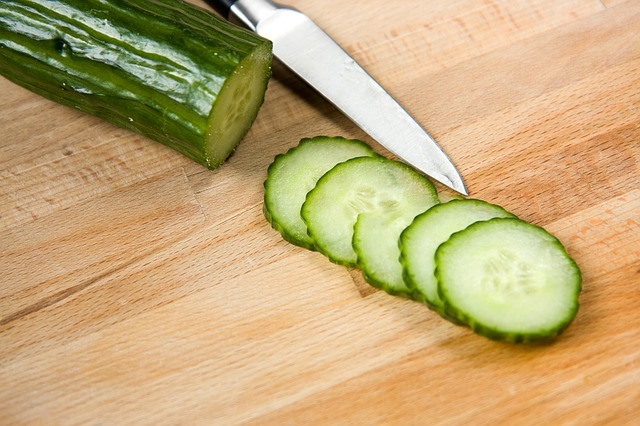 Or look for a variety of cucumber that contains smaller seeds and aren't too watery. Grate the cucumber using a cheese grater and grate on large blade setting. Put grated cucumber in a bowl and add a pinch of salt and 1 tbsp. of white wine vinegar - stir and set aside. Pulverize the garlic with olive oil in a food processor. Put yogurt into a bowl and add the pulverized garlic, 1 tbsp. of white wine vinegar, and seasoning - mix until combined. Next, put the cucumber into a cheesecloth or kitchen towel and squeeze out liquid. Then stir into the yogurt sauce. Finally, add in the chopped dill and stir to combine. If you can't find a decent Greek yogurt, you can make a thicker yogurt by draining off the whey from a whole yogurt. Place the yogurt in a sieve (lined with cheesecloth or a coffee filter) and put the sieve over a bowl to collect the whey. Place in your refrigerator or leave on your kitchen counter for a few hours. Removing the whey will thicken up the yogurt and it will resemble a Greek yogurt which will give your Tzatziki recipe a creamier base. 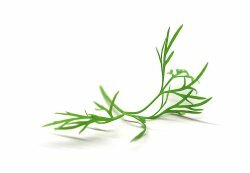 The herbs typically used in Greek foods are dill, oregano, bay leaves, thyme, mint, sage, and parsley. Greek cooking is very simple and relies on the taste of fresh ingredients and on the use of spices. And some other Greek spices used in the past and in the present are sea salt, black pepper, cloves, cinnamon, and cumin. Combine all of your ingredients into a glass or ceramic bowl and mix to coat your onions. Marinate for a few hours before serving. 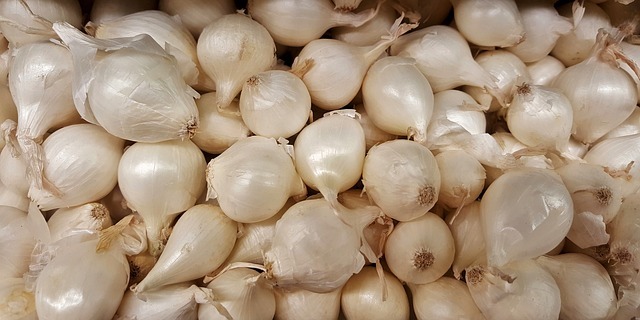 Instead of using pearl onions, you can use sweet onions such as the Vidalia, Maui Onion, or Walla Walla. Adjust ingredients to suit your particular needs and mix together (except for grape leaves). Then put mixture in the refrigerator until it's time to stuff the grape leaves. Remove grape leaves from the jar and rinse off the brine by soaking in cold water for about 15 minutes. Then place the ribbed side of the leaves facing up and the smooth side facing down. Remove the stuffing from your fridge and place a rounded tbsp. of mixture in the center of leaves. Fold in the leaves (over the mixture) and roll (not too tight) to the tip part of the leaves. To cook the stuffed grape leaves, oil a large stock pot and cover the bottom with the extra grape leaves. Then arrange the stuffed grape leaves on the bottom of your pot (tightly packed, but leaving room to expand). Squeeze lemon Juice and drizzle olive oil over the stuffed grape leaves and put a plate on top to weigh them down while they cook. Pour on some chicken broth to cover the dolmathes. Turn on the heat to med-high and when the broth starts to simmer - reduce the heat to low and cover the pot with a lid. Cook for approximately 35 minutes and then remove the plate. Check to see if the rice is cooked by testing with a fork. And if needed cook for an additional 10 to 15 minutes or until rice is tender. You can serve dolmathes cold or warm. Garnish with lemon zest, a squeeze of lemon juice, and a drizzle of Greek olive oil. If you would like a very traditional Greek appetizer made from grape leaves that are filled with meat and rice, check out Dolmathes with Avgolemono Sauce.